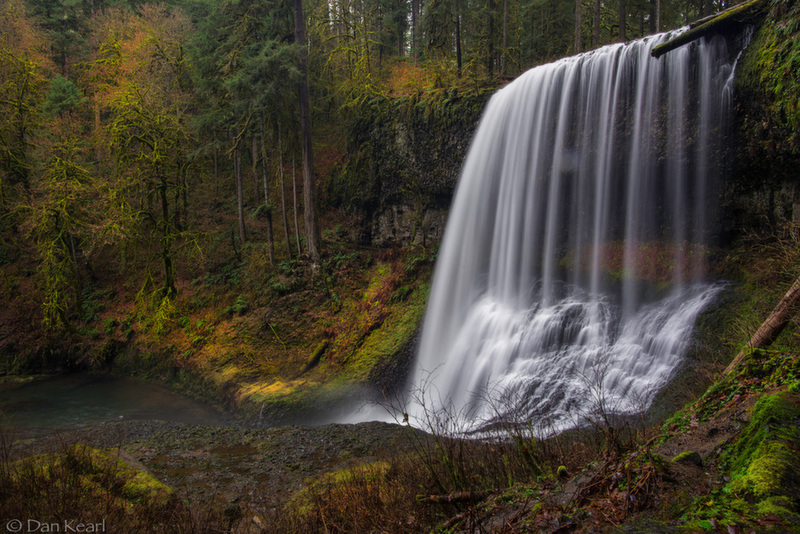 Silver Falls state park in the Oregon Cascade foothills. out and it is the dead of dark winter in Oregon. One of my favorite times to get out because the scenery is not what most think of the western side of my state. Click on image for better larger view. Oh my...this is a beauty Dan! Love the detail, colors and water texture. Beautiful shot. Looks like you did a bit of Orton Effect on this. nicely done! love the colour and saturation. Wonderful contrast between the water and the plant matter. Superb shutter speed on the water in good job with the light. I've never been there but I heard it's a really photogenic place. I love everything about this shot, superb capture. Gorgeous! This is a real feast for the eyes, Dan. Love it!